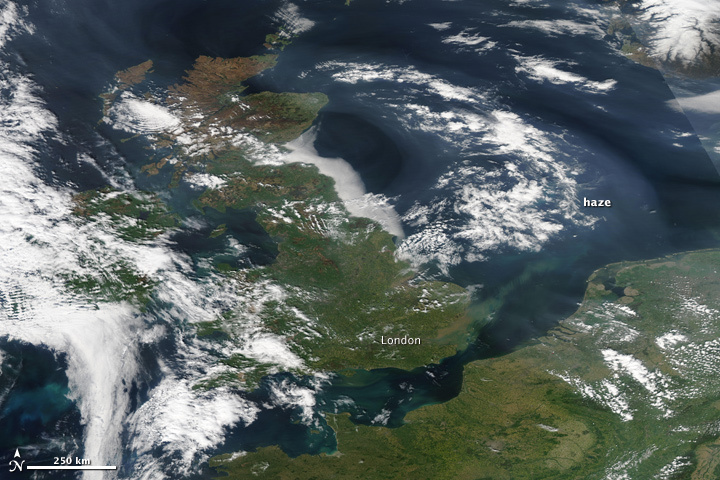 Looking more like summer than spring, the United Kingdom was wreathed in smog on April 22, 2011, when the Moderate Resolution Imaging Spectroradiometer (MODIS) on NASA’s Aqua satellite acquired this image. The haze triggered air quality warnings in England and Wales, with high pollution levels expected to last through at least Sunday, April 24, said UK Air. 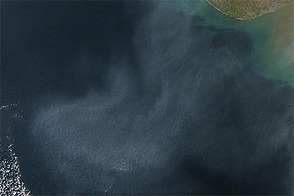 In this true color image, the haze is most evident over the dark ocean water, though more haze was visible over land on April 21. 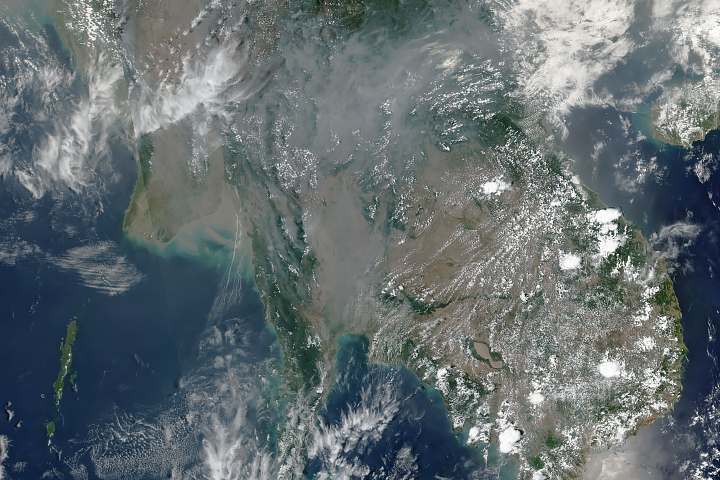 The haze is building up under a high-pressure system, which is trapping still air in place. According to UK Air, much of the pollution is coming from continental Europe, and some of that transport is evident in the image. 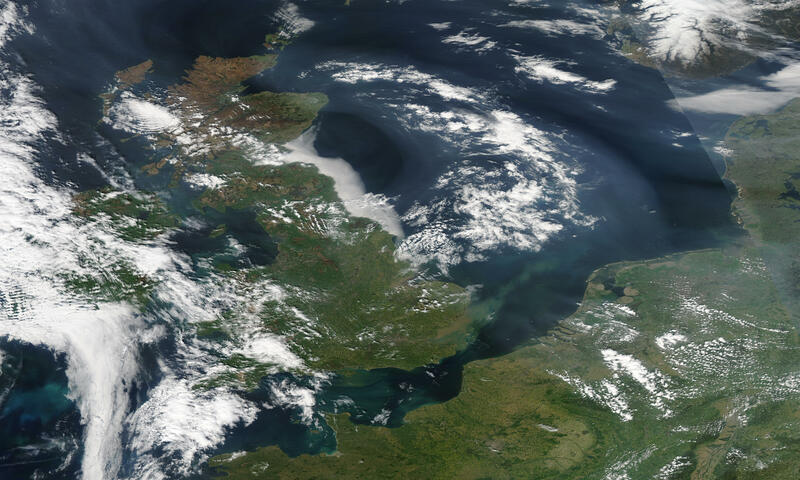 A dense plume of haze sweeps over the United Kingdom and the North Sea in this true-color image from April 22, 2011. Daily Mail. 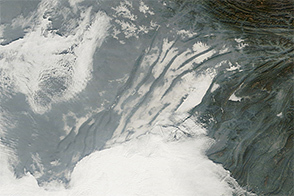 (2011, April 22). Smog casts a shadow over Britain: Health warnings issued over pollution as the country basks in the hottest Easter weekend ever. Accessed April 22, 2011. UK Air. 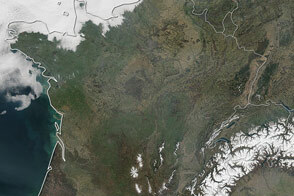 (2011, April 22). Latest UK air pollution forecast. United Kingdom Department for Environment Food and Rural Affairs. Accessed April 22, 2011. United Kingdom Department for Environment Food and Rural Affairs. (2011, April 21). 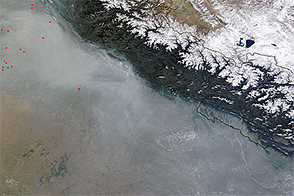 High pollution episode warning: First ”summer-smog“ of 2011. Accessed April 22, 2011.